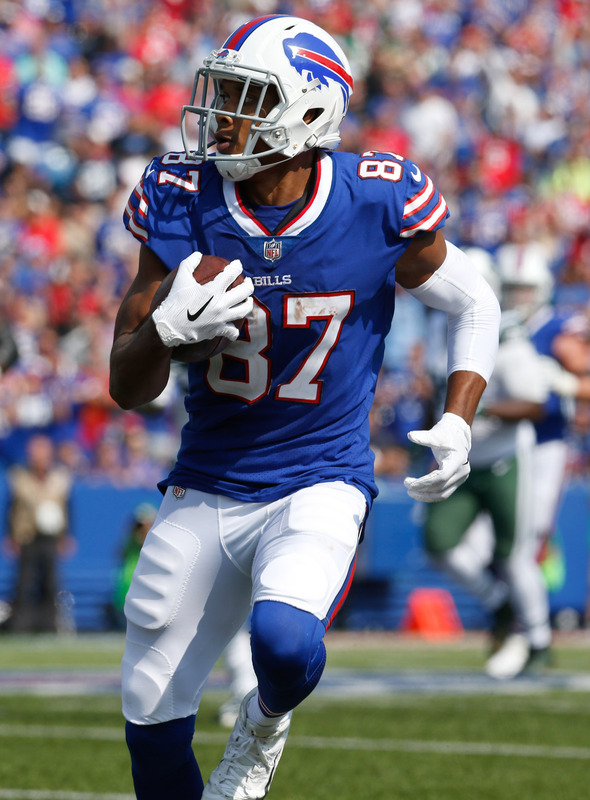 The Patriots announced that they’ve released wide receiver Jordan Matthews and signed fullback Henry Poggi. Although Field Yates of ESPN.com tweeted New England would placed Matthews on injured reserve, it appears the Patriots have simply cut the wideout. The Pats signed Matthews to a one-year deal worth $1MM back in April. However, the pact was only partially guaranteed, so the Patriots won’t be left on the hook for much. Matthews collected on his $80K signing bonus, $130K offseason workout bonus, and $90K of his base salary, so he leaves New England with $300K altogether. Matthews was also held back by injuries in 2017, so this is an unfortunate setback for the wide receiver. Prior to that, Matthews averaged 75 receptions for 891 yards and six touchdowns per season for the Eagles from 2014-16. The release of Matthews leaves the Patriots a bit thin at wide receiver. They’ll be without Julian Edelman for the first four games of the season and the availability of Kenny Britt and Malcolm Mitchell is in question as they deal with ailments of their own. These issues could help to explain the team’s recent interest in free agent Eric Decker.